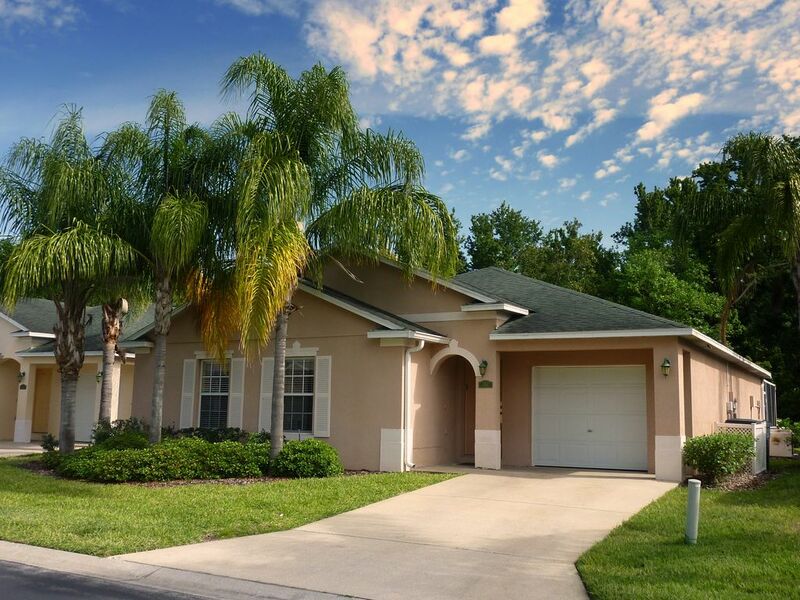 Beautifully furnished, completely remodeled, 3 bedroom 3 bathroom vacation rental by Disney. The living area has comfortable, plush furnishings and comes equipped with a 42' cable plasma television so you can keep up with all the latest news and TV programs. A DVD/CD player, Wireless internet connection and Playstation 2 is also available for your viewing, listening and gaming pleasure. All bedrooms have plasma televisions fitted and all beds have comfortable superior mattresses to ensure a good nights sleep. The main bedroom has a king-size bed an en-suite bathroom and access to the pool area. The guest room has a queen-size bed and an en-suite bathroom. The twin bedroom has two single beds a 32' TV and is adjacent to the family bathroom. The kitchen has all new appliances and is fully equipped with large fridge/freezer with ice maker, double oven cooker, microwave, coffee maker and dishwasher. A washing machine and tumble dryer is also available for your convenience. Very nice house and quiet neighborhood. We had a great first experience with renting a house. The owners were very helpful and responded quickly to questions. Everything went smoothly and would definitely recommend this location. Easy access to I-4 and all parks. Town Centre Reserve, Davenport was an outstanding holiday! Our three week vacation at Town Centre Reserve, Davenport far surpassed our expectations. The design of the house, the stylish, modern décor of each room and the household facilities exceeded those of major resorts that we have enjoyed in the Orlando area. The modern kitchen and large dining room offered the opportunity to invite guests for dinner. After a game of golf, the pool was an enjoyable respite. Of particular note was the immediate response of the management personnel to answer any questions that arose during our stay. We also appreciated the regular contact with the Sellers family who own the property. This is our first experience with a VRBO residence in Florida, and we look forward to repeating it in the future. Debbie very helpful, Villa very modern, clean and quiet area just right. Very easy to find, quiet location but not too far from Disney. Would recommend eat at local restaurants as better quality and price. We were very comfortable in this house; it is appointed nicely! also convenient to both the gulf waters and the Atlantic to be able to visit beaches and eat all that wonderful sea food. We would rent it again! We would recommend seeing Hollis Gardens, the Holy Land, and a few flea markets . Vacation Rental by Disney - a great escape and perfect location. Situated in the tranquil gated community of Town Center Reserve. This newly remodeled luxurious 3 bed/3 bath pool home is just 10 min away from all Disney attractions and 20 min away from Sea World and Universal Studios. There are two world class golf courses just 5 minutes away at Reunion and Champions Gate Golf resort. For your every day needs there is a Publix Supermarket, Pharmacy, Bank and various take away restaurants within one mile. Being conveniently close to Interstate 4 and highway 27 ensures you have the best links, not only to all the local attractions, but also if you feel like traveling further afield the Gulf Coast is 75 miles away and Cocoa Beach and the Kennedy Space Center is only 65 miles away. Discount available for more than one week rental. Snowbirds welcome - contact us for discount rates. If staying less than 5 nights, a £60.00 ($95) cleaning fee will be added. Optional pool heating is available at £18/day ($30) recommended between October to March.